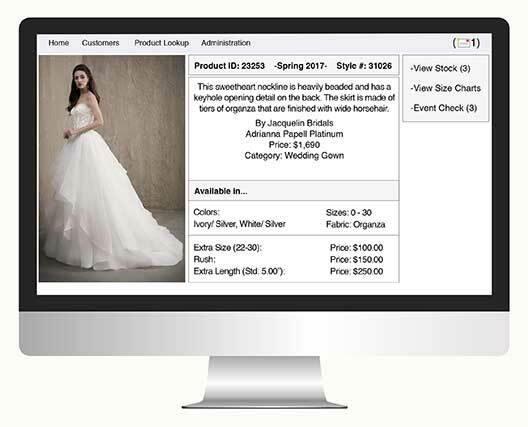 A web based business management software designed exclusively for the Bridal, Prom & Tuxedo industry. Our fast and efficient invoicing and customer management features can be recalled quickly and easily. Manage all of your prospective customers and track and follow up with them via email. 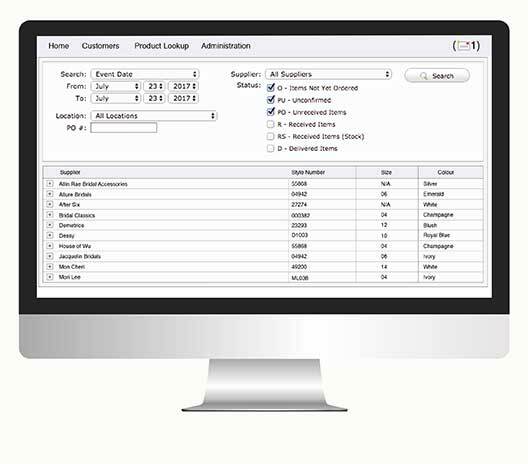 Analyzing and accessing reports is fast and accurate. 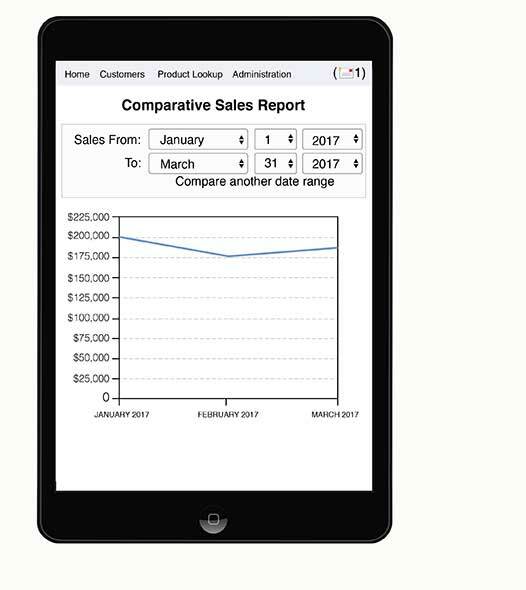 Have the knowledge to make educated decisions when it comes to sales, costs, inventory, ordering, employee scheduling and more. All reports are included. Our centralized ordering center helps save you valuable time and ensure hassle free experience. Your orders can be printed, e-faxed or emailed directly to your suppliers with the click of a button. Determine profitability by viewing top selling sizes, colours, products and suppliers. Upload your own images to make it easier for you and your staff to sell. Bridal Web Solutions is also barcode compatible to ensure error-free inventory. Link your appointment book to your website! Customize the appointment settings to have what you want - when you want it! 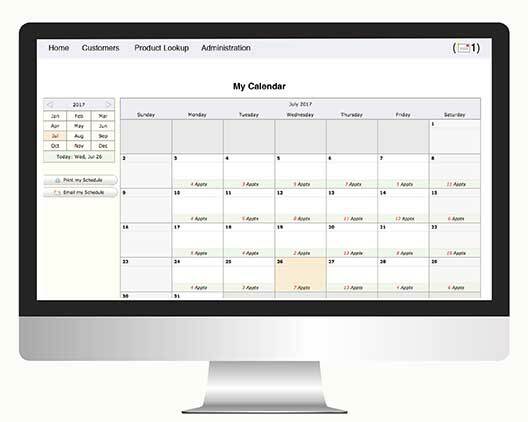 Linked with your customer's file, the appointment book allows you to track appointments from start to finish. Easily send out reminders to customers of their upcoming or missed appointments. Keeping track of styles sold for each event has never been easier! 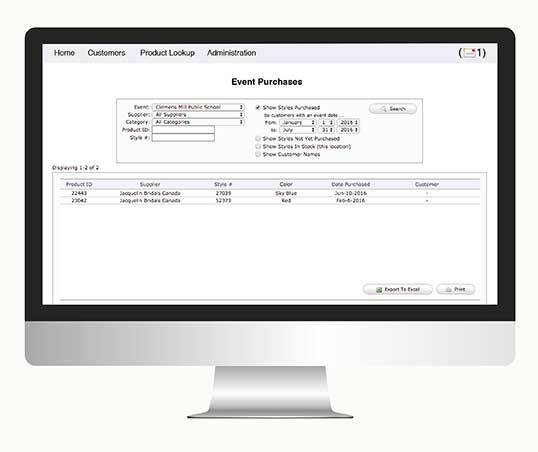 Reports and invoicing alerts will ensure no duplicated styles and colours are sold to the same event. I have been in the bridal industry for over 20 years and no other system even compares to Bridal Web Solutions. This system has saved me countless time and man-hours and it was easy to learn. BWS has enabled my business to grow and my life has been made easier. The BWS program knows what you need to run a successful bridal business; it is easy to learn and to navigate. One of the best features that I have gained is tracking my employees closing rates, knowing exactly how much money they are selling per hr/week and for my business this is the bottom line. Just being able to log in and check upcoming weddings, their merchandise and accounts receivable is a huge bonus as well - everything is documented. This aspect has eliminated our paperwork, guess work and expensive. I can not say enough great things about this program; I truly wish I would have set it up years ago. We have been using BWS for 7 years. It is a fantastic system for point of sale and managing customer and wedding party accounts. I especially like how easy it is to place and track purchase orders and check in the merchandise when it arrives. BWS gives us the ability to analyze our business on so many different levels. We love it! I love working with everyone at BWS. They are so helpful in getting and keeping my business up and running. I made the move from my first POS system that was in DOS to BWS and I am so glad I did. Being able to move files in to excel saves me so much time. Being able to Mail-merg is probably my favourite option of all. Time is money and BWS gives me the time to make the money. The BWS system is easy to use and they are always continuing to make it better and easier. Mostly they are always there for us in Tech Support even for silly questions on things you just forget, they are always very quick to answer you and lead you through anything you need. They are great! I look back and think why did we use a paper system of invoicing and customer files for so long I would never go back. Can't imagine running my business without BWS. BWS is an invaluable tool for my business. It allows me to track inventory and orders yes, but it is constantly being "tweeked", making improvements that make it better all the time. Not only that, there is no charge for all those improvements. Additionally, the customer service is beyond outstanding!! When I have trouble or make a mess of something- as we have all done- all I do is email them and someone "fixes" the problem. Often times, they fix it the same day. Again, for no charge! You won't find that anywhere else! BWS has helped me run my business the way I always hoped it would. The site is really easy to navigate. There are great tutorials but we were able to teach ourselves most of the operating procedures. If you ever have any questions, they respond very quickly and can help with any issues or make suggestions on how to do something more efficiently. There are so many features within this system that I don't think I will ever get to use them all! You can customize any of the techniques to personalize and make it your own. I would strongly recommend this system if you want to grow your business. Bridal Web Solutions has become a very successful fit for us. Not only have we been able to streamline our efficiency across the board, but It has given us quick access to which manufactures are profitable, and which are not. We find the reporting to be invaluable. BWS has helped me grow my business substantially. It is easy to use, accessible from anywhere, and the service can't be beat! It is the MOST time-efficient program, made perfectly for the bridal business. 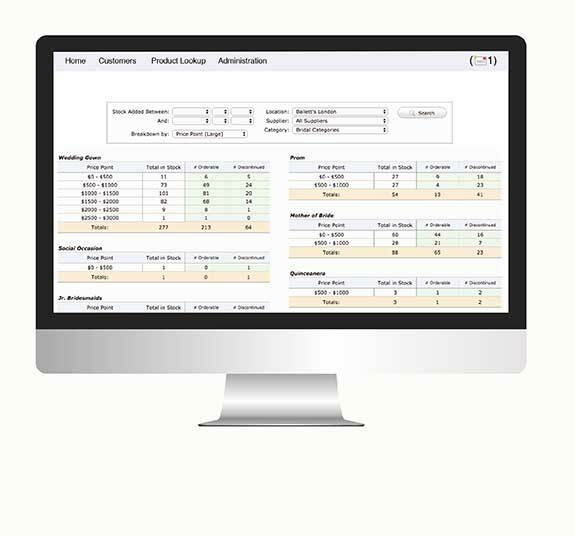 It easily keeps track of inventory, purchase orders, sales and even employees. With the large amount of inventory and company's we have, it definitely helped us get and stay organized. 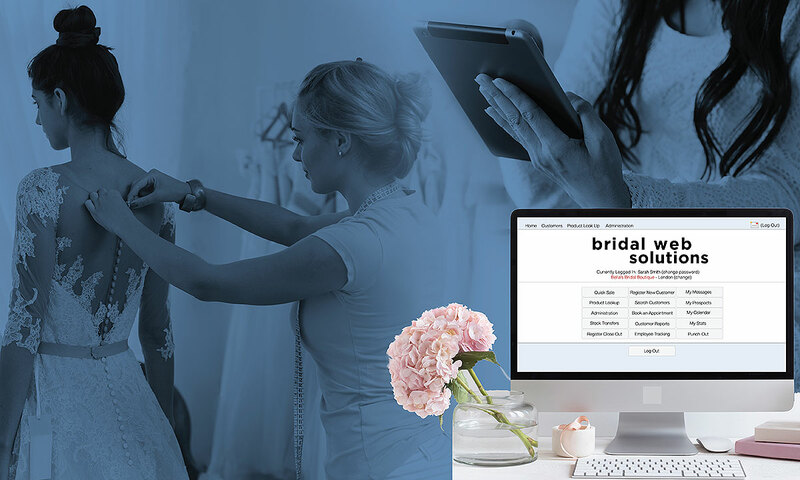 Bridal Web Solutions has made our bridal business streamline and efficient. It is very user friendly for even the un-experienced computer users. The best part about BWS is that you can use it from anywhere, from home, and traveling to market and you can have as many work stations as you want! I love BWS and couldn't imagine being without it. Thank you BWS! to our Bridal Web Demo!